A comment writer in the post below referred me to a video of a certain priest. That priest was once the pastor and "Superior" of the never erected Ottawa Oratory of St. Philip Neri at St. Brigid's parish in Lowertown. It was in this church, back in 1987 while working on Parliament Hill, that this writer learned to sing Gregorian chant and polyphony in the context of a properly sung Novus Ordo Mass. The treatment endured by those nine brave souls from Vancouver who ventured east to establish an Oratory in Ottawa was scandalous and a dark day in Canadian Catholic history. I imagine that Joseph Aurele Plourde had much to answer for at his particular judgement for the injustices caused to those men and the Catholic faithful who flocked to this church in Lowertown for the real Catholic faith properly interpreted after Vatican II. The thrust of opposition came from St. Joseph's parish, now a "gay" friendly centre whose pastor at the time was Douglas Crosbie, OMI, now the Bishop of Hamilton. Of the four priests, one has passed, two are now in Vancouver and one left the priesthood. Of the five brothers, two at least, were ordained, one in Ottawa and one in Vancouver. This picture is St. Brigid's today. It was sold by the Archbishop of Ottawa for a paltry $450,000.00 for use as a secular arts centre and which can never be sold to any Catholic group. That was put in to keep it from ever falling into the hands of the SSPX. Perhaps some day, I will understand how the selling of this Church and the bowing to municipal historical demands to leave the Altar Stones intact reconciles with the Pontifical Mass according to the Roman Missal frequented by ++Prendergast, SJ after such a tragedy as this. Truly these destroyers are demonic. They will indeed have much to answer for. The photo shows the profanation of a church - we are rightly horrified. Imagine if we could see a soul, once baptised and in Grace, yet led astray into sin, through lies, neglect, and deceit by wayward churchmen, wicked teachers, negligent parents. Some have wondered whether the demise of the Ottawa Oratory in formation may have had a helping hand from Toronto...just like the demise of the FSSP in Toronto. Tragic in both instances. Vox, this is somewhat related to your post. I was trying to find your email address but couldn't so I'm posting. I live in Toronto and go frequently to Ottawa, where my mother and brothers still live. I attend the FSSP run St. Clement's church there which celebrates, quite frankly, the most reverent mass I've ever attended in my life (I'm 54). I had read, on this blog, that the FSSP was given the opportunity to run a parish in Toronto a number of years ago, but it was nixed in fairly short order. I could not find the reason why. 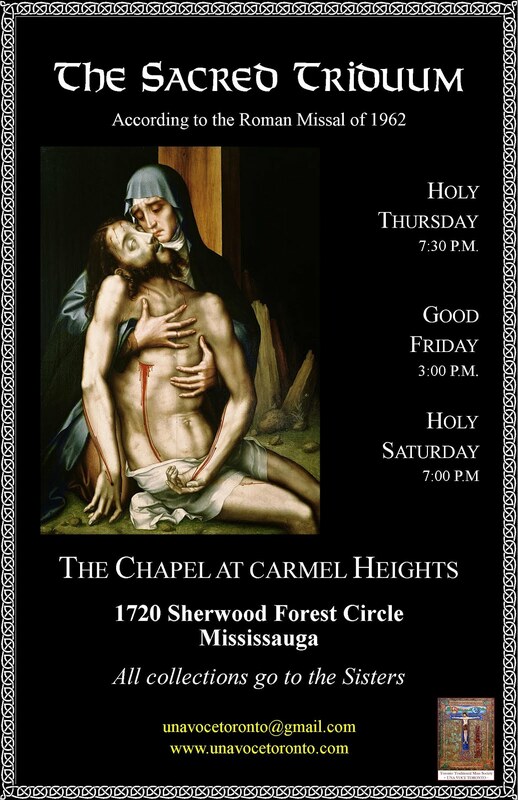 To my knowledge, besides the Oratorians at St. VDP and Church of the Holy Family, there is no regular Latin Mass in any of the Toronto parishes. They have the occasional one at St. Mary's on Davenport. Of a city of 4 million+ I find this absolutely stunning. The TLM is the future and wonder why Cardinal Collins doesn't help in any way (at least that's how it appears). I can be reached at phineas.beckett@protonmail.com. Love your posts by the way. The Novus Ordo mass profaned this sacred space long before it was sold. 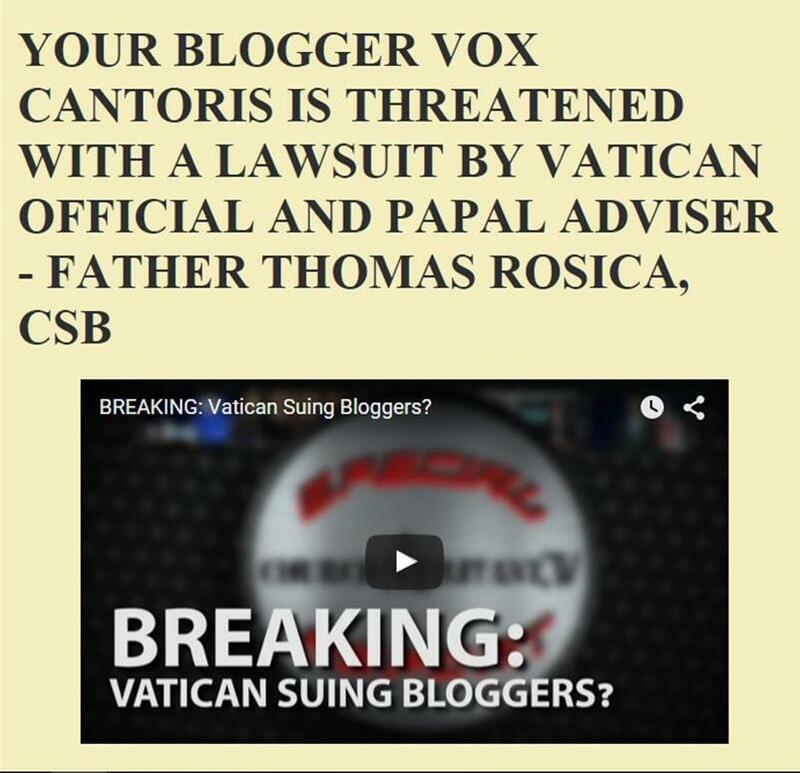 I think a mistake you are making Vox, is that there is a correct interpretation of Vatican 2 that is in line with Tradition. That myth of a hermuenetic of continuity is simply a false hope concocted by Ratzinger to string confused Catholics along. Bergolio is now showing the world the true interpretation of Vatican 2, rupture. When priests turned their backs on God and held eucharistic celebrations of Man on tables placed in front of altars where Christ as High Priest once offered Himself in expiation of sin, that is when the profanation started. "Some have wondered whether the demise of the Ottawa Oratory in formation may have had a helping hand from Toronto...just like the demise of the FSSP in Toronto. Tragic in both instances.2:49 pm, December 15, 2018 Delete"
Indeed. Some have "wondered" and still do! 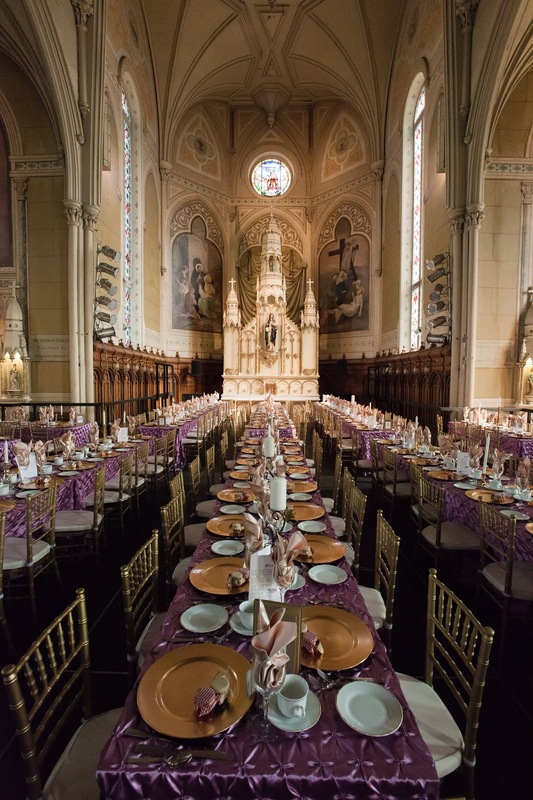 The dinner setting is very pale compared to the scandal that happens at St. Brigid's. You forgot to mention that the "Gay Men's Choir" preforms there as well now. These beautiful things mean nothing, if not for God. The hierarchy was subjected to brainwashing from earliest days of priestly formation, where God is in every human being, and He is not separate from creation. Now the beauty God-loving creatures have created, inspired and led by Him, is in discord with the current deity - men, especially the unwashed and angry masses, manipulated to believe that they are morally superior, because they know poverty. Pure materialism and Marxist lies. I worked with the homeless. Many considered themselves entitled to wealth and refused to work for little money (I, with many years of community rehabilitation studies behind me, served them rather humbly - well, it is true, no false humility from me - for less they considered just payment), many had no gratitude and waisted much that was given to them. I and my family do not dare to waste food, which most of our morally superior and entitled homeless had no qualms about throwing away. I often think that there probably are more generous and grateful saints among the wealthy. If these people are all that matters, if serving them is all that matters, if humbling ourselves before them is all that matters (our humble papa certainly teaches it), the ugly, filthy and smelly shelter is the only place fit for worship. They must enjoy their revels in the sacred places, to remind God that THEY reign supreme. It is not enough for demons to cavort, they must cavort in front of God and you and I must observe them. It is reprehensible to leave the altar stones in place and to designate it will not be sold to a Catholic group. That is hateful. A pox on all these Communists and God haters, and their ridiculous adoration of the poor. Tom A., I agree with you now. Clearly now it is easy to see that the rupture began with VII. Now that we see where it all lead, to the annihilation of Catholicism, it is easy to see this was where it all began. Christ said Blessed are the poor in Spirit, the in spirit part seems to be left out when it suits, Communism has always claimed to represent the poor, yet they are the ones who suffered most under communism,nothing poor about its leaders. I grew up going to St Brigid's, but missed the years the Oratorians were there. During the 1970's the while church including the beautiful paintings above side altars and th main nave were painted over in beige paint. It was during the time the Oratorians were there that they managed to recover them. The French Revolution also treated the churches they confiscated likewise. So this is a natural result of the French Revolution in the Church that was the council. The goddess Liberty is probably there somewhere.